Message from our CEO|Miko N.V.
Well deserved attention I might say, since the principles behind all of them challenge companies to reflect regardless of what their day to day core activities are. Reflect about their position in relation to the world around them, how they affect – both positively as negatively – their surroundings and how they can, by means of their (often ambitious) journey of moving forward, give something back to their people, society in general and the planet. At Miko, sustainable entrepreneurship has a long history, but for the most visible accomplishment on that part within our group, I would probably have to go back to the period 2005- 2006 when we launced a true sustainability program within Miko, which led to the creation of a new fair trade coffee brand within our range which we called PURO. That said, we did not want PURO to be just another fair trade coffee but we thought we really needed to go the extra mile … so we decided to see whether we could not give back something to our planet while moving forward with our new brand of excellent coffee. We decided to team up with the World Land Trust Foundation, which is a foundation that at its turn teams up with non profit organisations, and kicked of a truly unique program together by donating 2% of revenues we made with our new PURO coffee to WLT for the purpose of them buying and thereby protecting rainforests in coffee producing countries. Now, more than 10 years later, were still contributing to rainforest protection in the same way … increasingly even since coffee revenues generated by PURO remain rising over the years… so the more we are moving forward, the more we are giving back in a certain way. 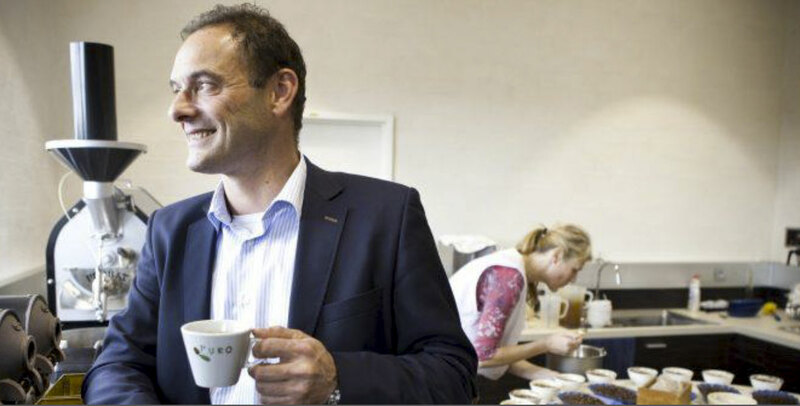 As CEO of a group active both in coffee and plastics productions, I’m very proud of our track record and efforts we’ve made up till now and of where we stand today. Moreover, it gives me quite a pleasure seeing all those initiatives being presented in a (more or less) consolidated way through our Moving Forward – Giving Back Program on the sustainability section of our corporate website and in this 2017 report on our initiatives. Hope you share the same feeling, while reading through this report.